Rugby Players Ireland are a non-for profit organisation and are continually looking to align and integrate with Ireland’s leading companies in order to provide our members with all the resources that they require to succeed both on and off the field. There are many different reasons as to why Rugby Players Ireland’s sponsors have created partnerships with the players’ association but one thing that is evident, throughout all the partnerships, is the great sense of pride in supporting the professional rugby players of Ireland. Rugby Players Ireland pride themselves on delivering real value to their commercial partners, giving them and their clients’ experiences that cannot be beaten. We create bespoke arrangements for each of our partners which allows them to achieve all the objectives that they have set. Working together with you, Rugby Players Ireland will devise a year-round plan that aligns with your businesses strategic plan making sure you get them most out of our partnership. 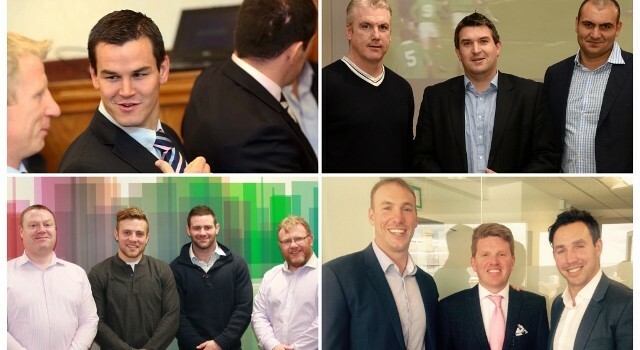 The use of player appearances and themed boardroom lunches, attending Rugby Players Ireland driven events, business breakfasts and advertising are some avenues where Rugby Players Ireland can add great value to your company. If you would like to hear more about Rugby Players Ireland and the possibilities that there are for your organisation please contact us, info@rugbyplayersireland or call on 01-6769680.